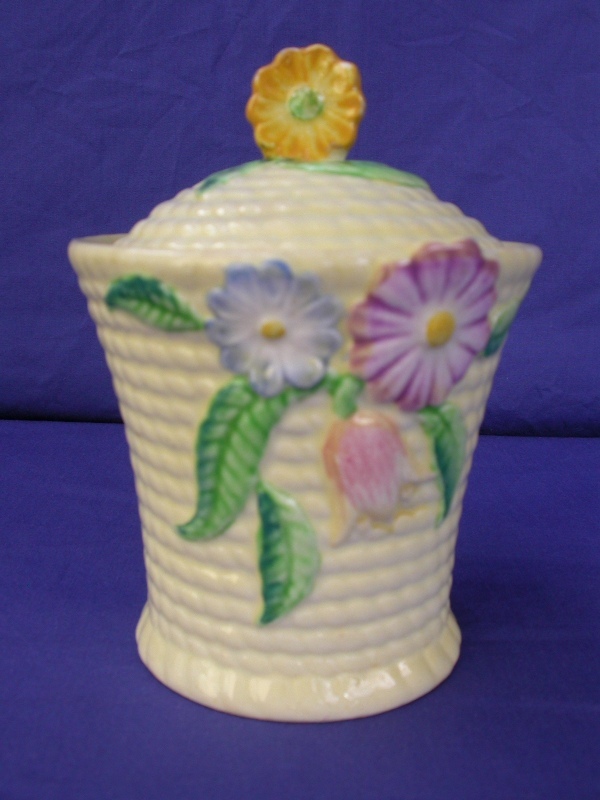 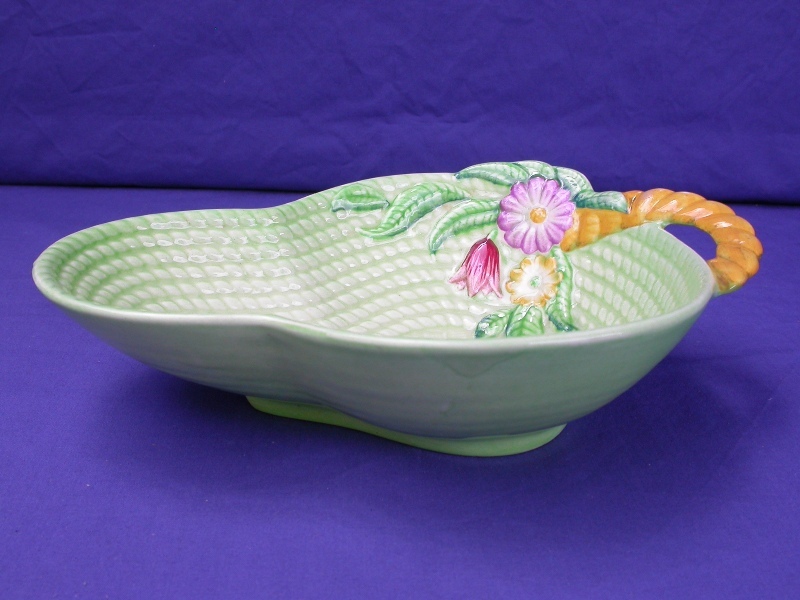 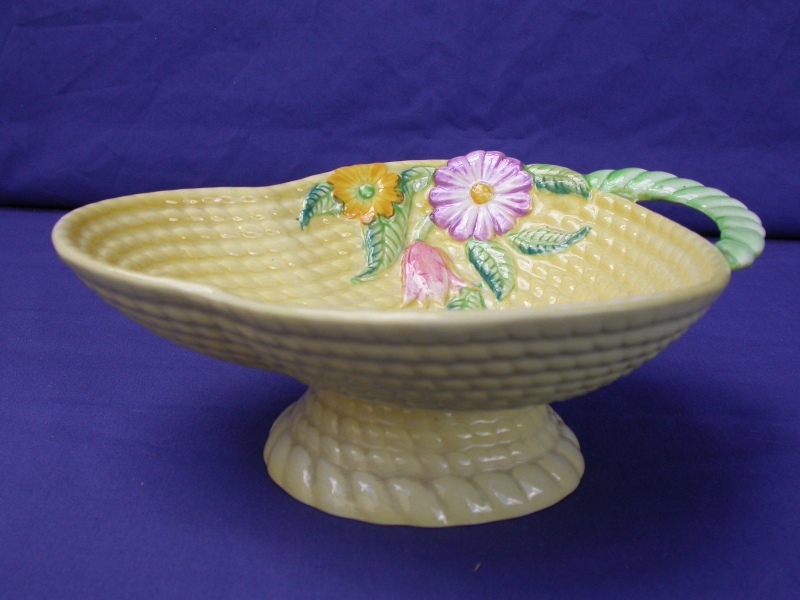 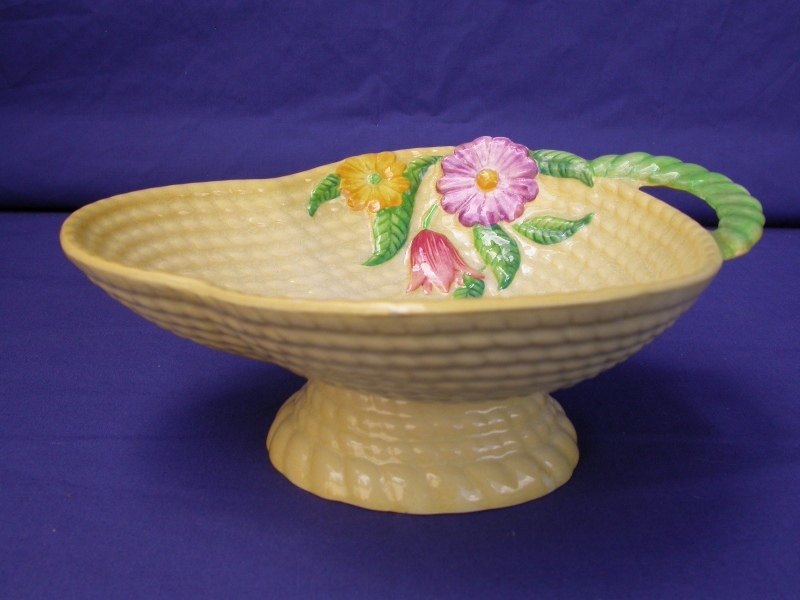 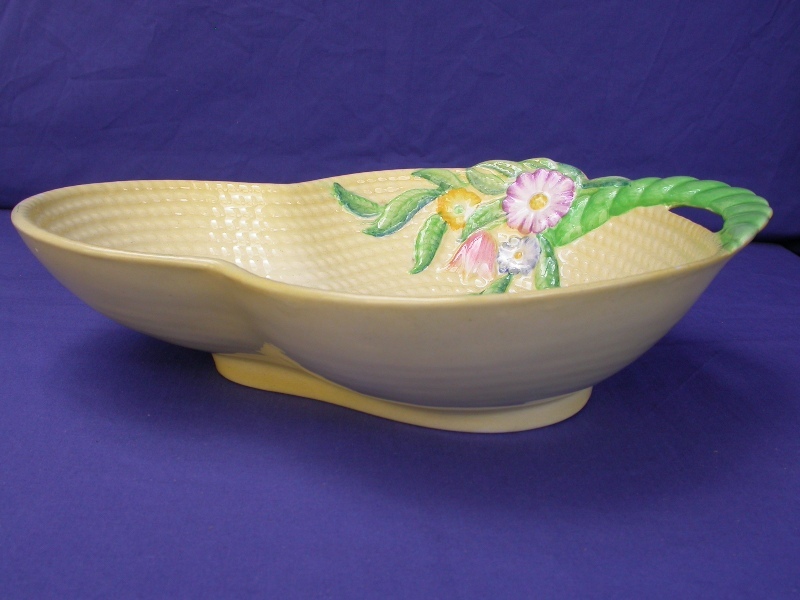 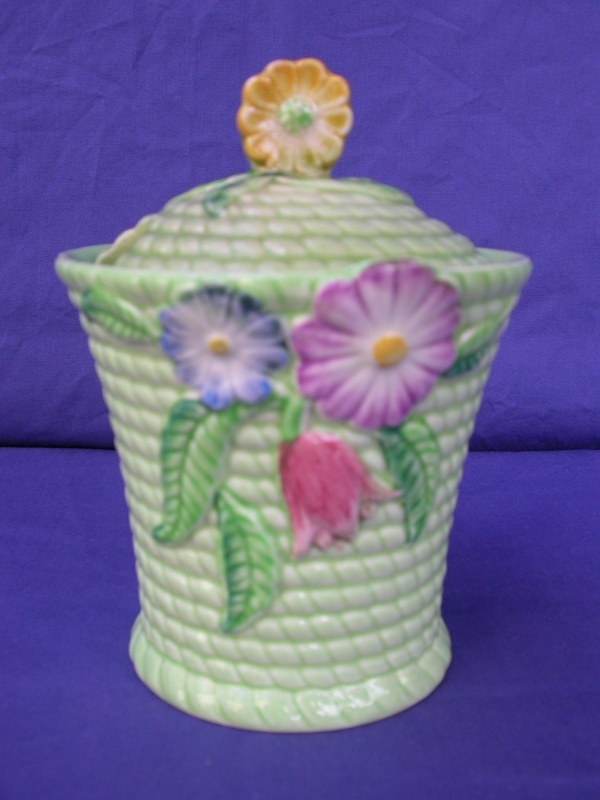 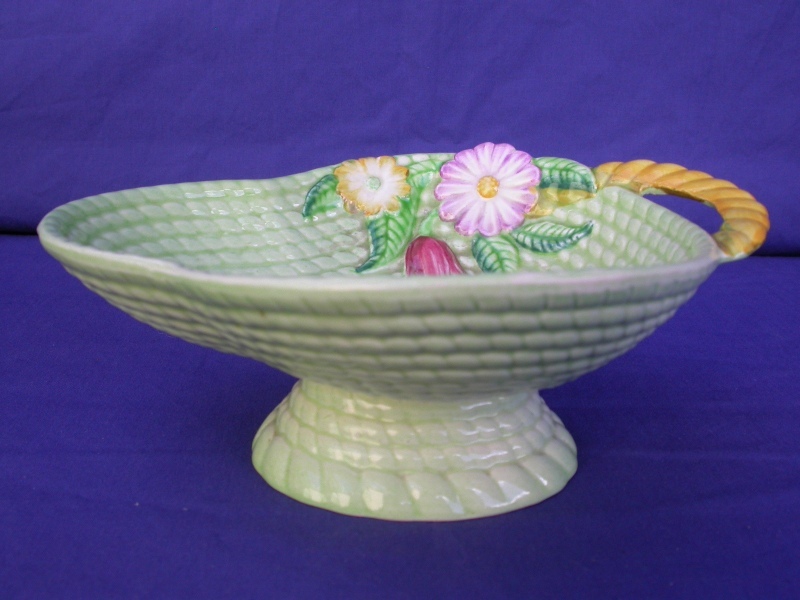 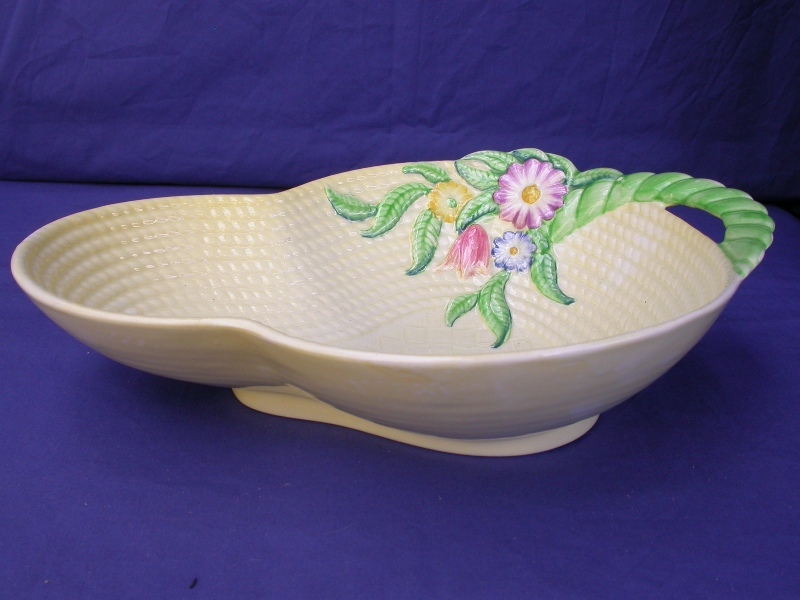 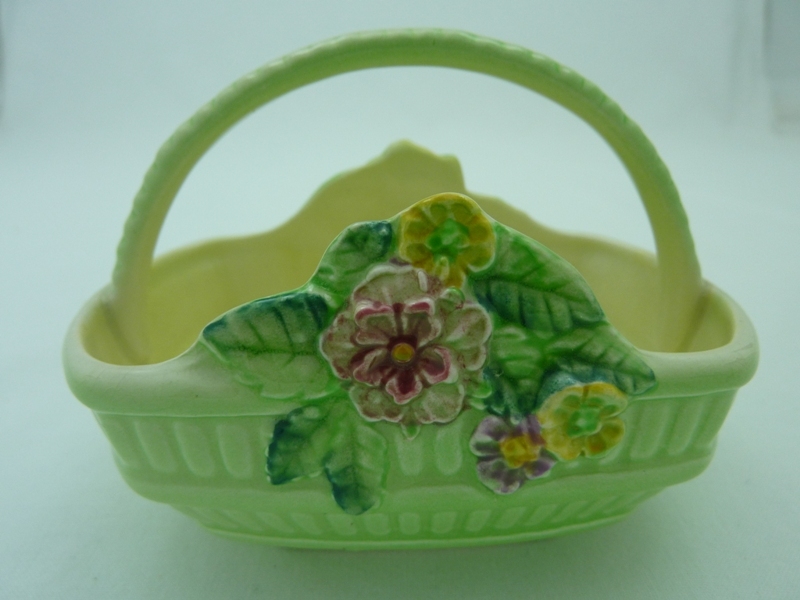 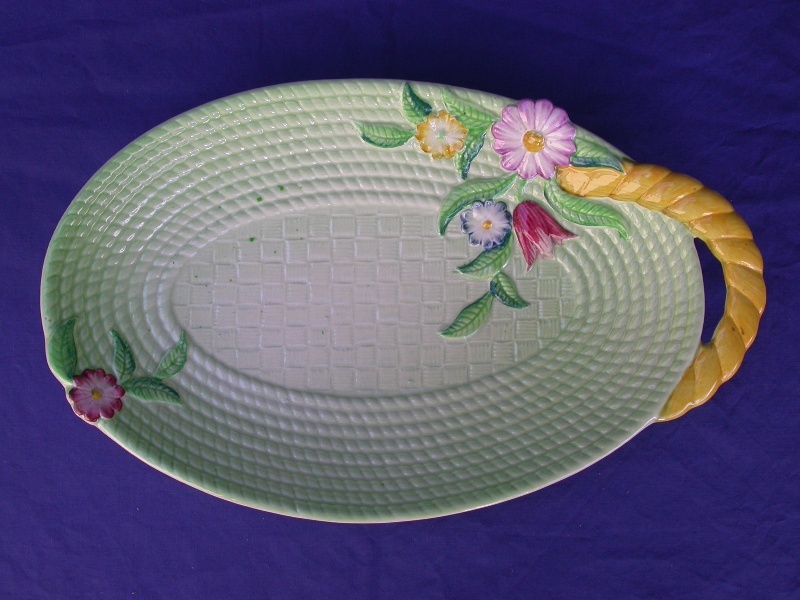 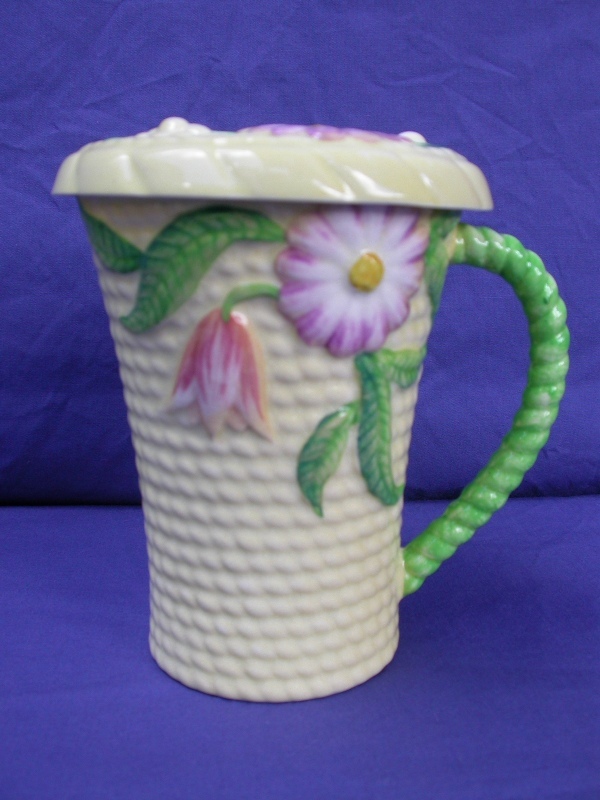 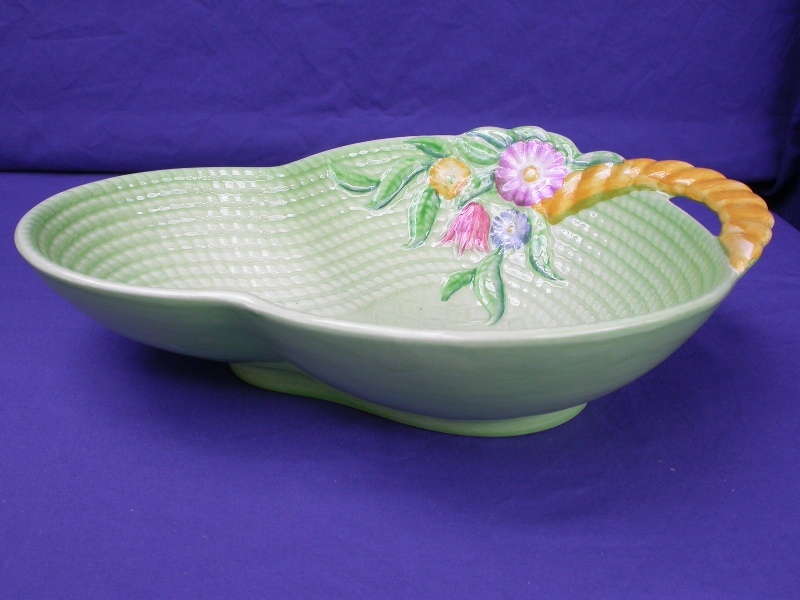 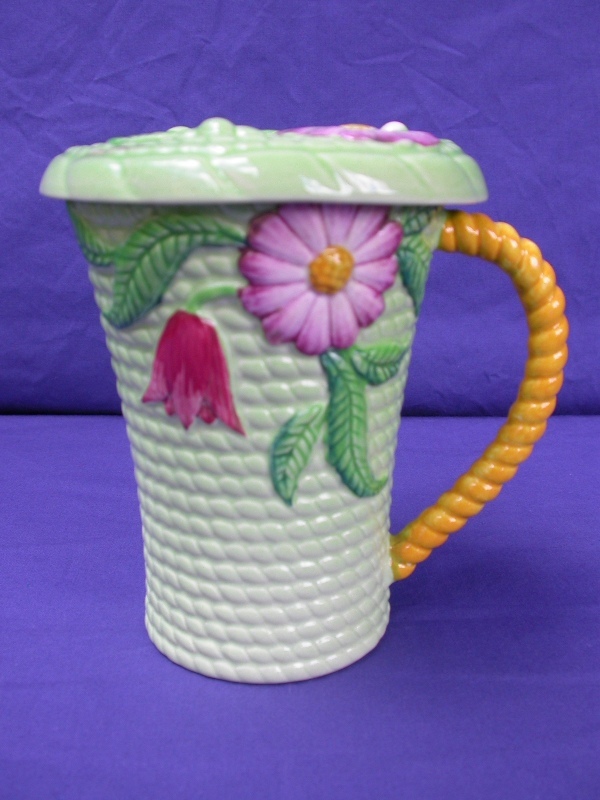 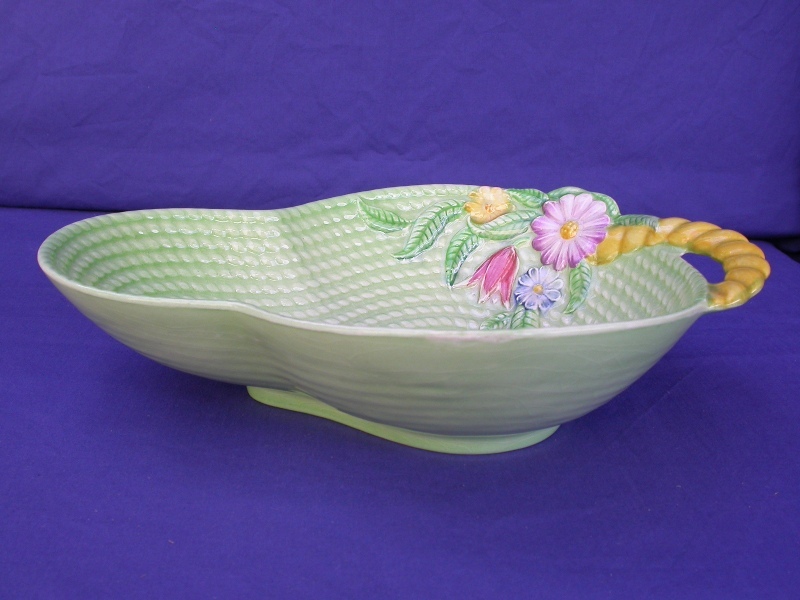 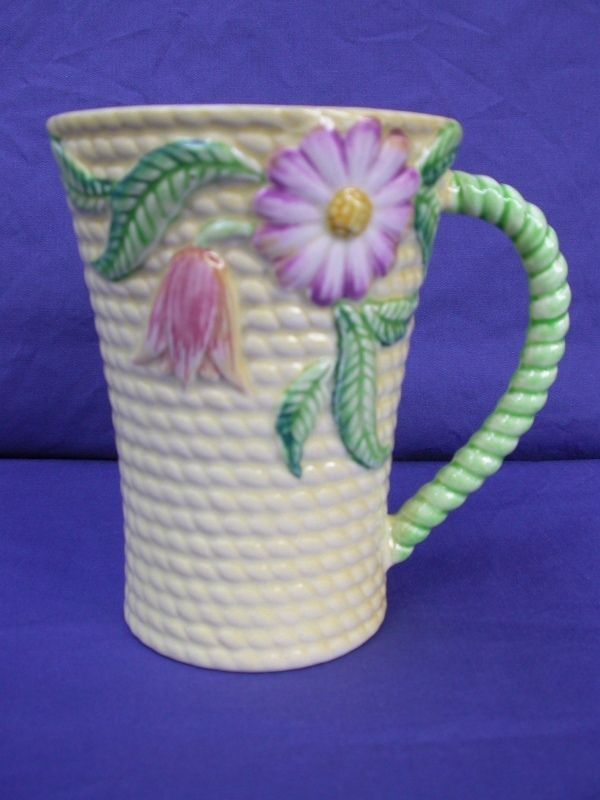 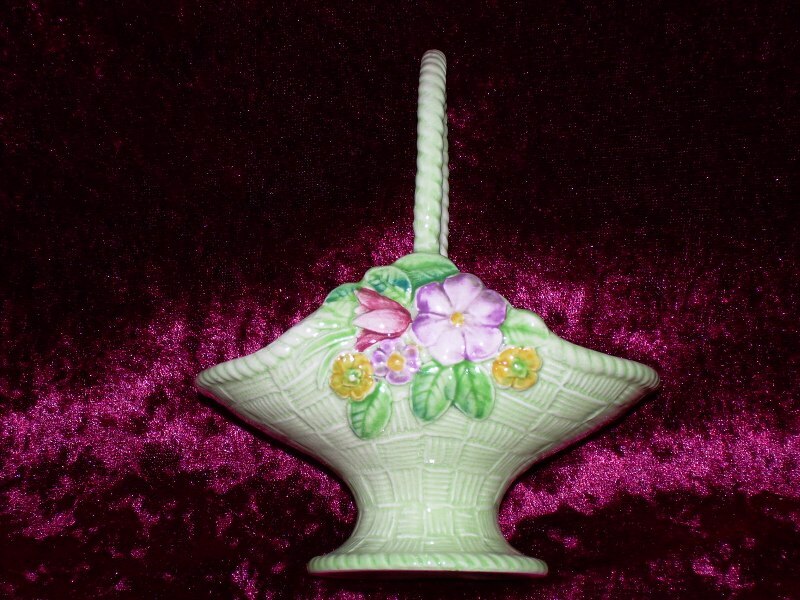 Carlton Ware introduced the embossed range of Flowers & Basket in 1939.� This range was produced in the popular colourways of green and yellow, which is replicated in many of Carlton Ware's embossed floral and fruit embossed ranges. 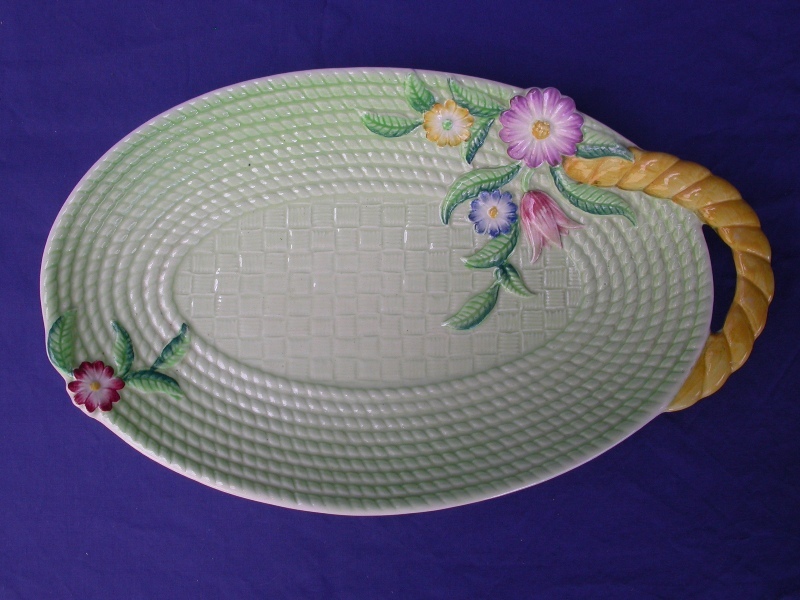 The embossing on the design is a very unusual basket weave which resembles a twine or rope effect.� This is replicated in the handles.� Some pieces such as bowls and servers have a more traditional basket weave effect in the base of the design. 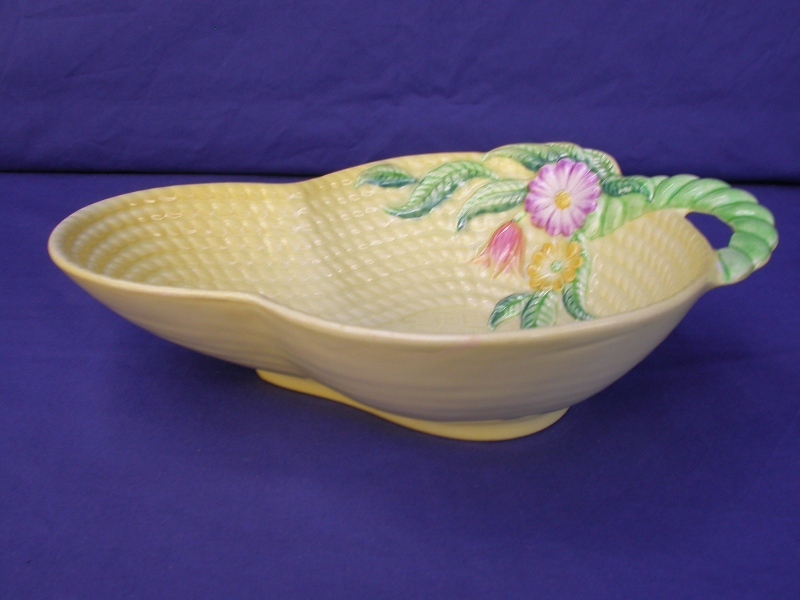 The green colourway pieces are decorated with yellow handles and similarily the yellow colourway has the contrasting green handles. 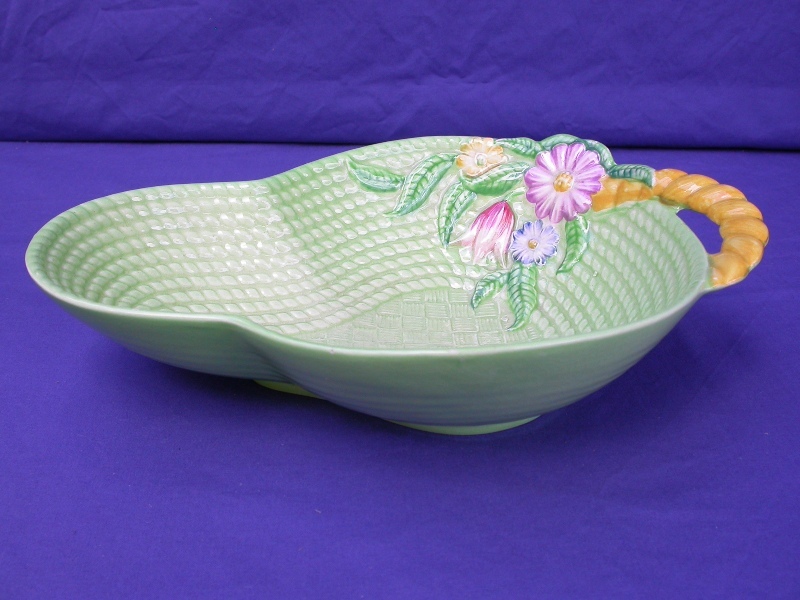 This pattern is also known as Basket or Springtime.